Prizes: Publication in Fotoblur Magazine print and digital edition and complimentary copy of Fotoblur Magazine Digital Edition. no borders, watermarks, or text of any kind. 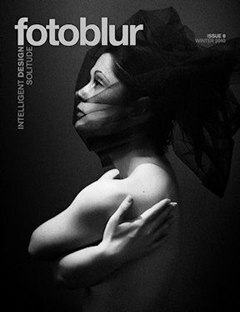 Description: Fotoblur Magazine is a quarterly print and digital magazine devoted to photographic art and artists who have chosen the camera as their instrument to creating fine art. Fotoblur Magazine hosts photo galleries for photographers to showcase their art and offers an opportunity for publication in their magazine. Each quarter, a submission period is opened for photographers to submit their best work for consideration. Selection of top photos is by community vote during a designated selection period, followed by a final selection from top photos by the editors. Additional Info: Registration to the site is required to upload photos to the gallery and submit for publication consideration. A free account allows for one upload per day, a limited gallery of up to 100 photos, participation in community voting and forums. Member upgrades are available and include five uploads per day, unlimited storage, detailed image stats, Fotoblur Magazine Digital Edition subscription, and ad free content. As Fotoblur Magazine is a venue for fine art, the galleries can include mature themes. Thus, the member age requirement is recommended, but not limited to, 18+ years old. A few pages of the previous issues of the magazine are available for preview as well as the existing member galleries. Take some time to look around. If your forte is capturing fine art through the camera lens rather than cutesie kids or pet photos, you will feel very much at home with Fotoblur Magazine. --- Separate listings will be posted each quarter to encompass specific submission and selection dates as details become available.